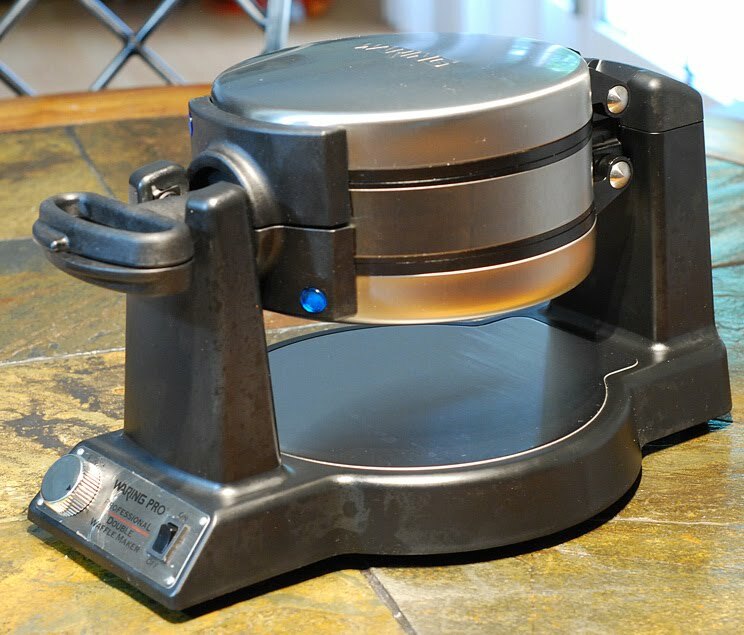 Many years ago my parents bought us our first waffle maker, an Oster. We used it relentlessly and it finally expired last year shortly after this post about the waffle recipe we use. I have used it twice and I'm pleased with it's performance. Can do twice as many waffles in the same amount of time. That's my favorite part because no one wants to be sitting around waiting for waffles on a Saturday morning. 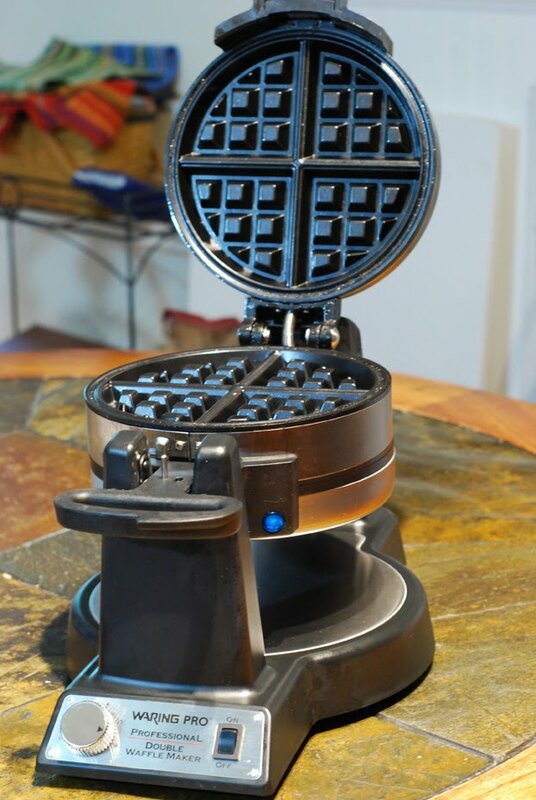 It has audible and visual signals to let you know when it is preheated and when a waffle is finished cooking. It has a variable control for how crispy you want them. It is entertaining to flip the rotating part. Yes, I still play with my food. The non-stick cooking surfaces area seasoned well. The exterior surface is easy to clean. It is a bit bulky and takes up storage space, but most waffle makers do. The first time I used it, the top part popped open during cooking but I might have slightly over filled it. 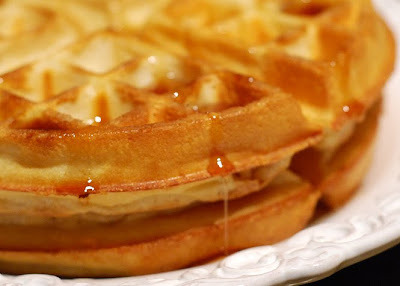 When I do waffles on the weekend, I usually make a few extra that are a touch underdone and keep them in a zip top bag in the fridge. Then on Mon/Tues, Trevor can have a quick waffle breakfast by just popping them in the toaster. Much better than Eggos! Update 12/26/10: I have now been using this waffle maker for three months at least every other weekend. 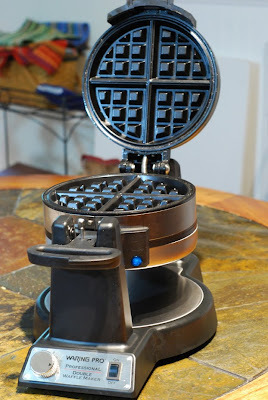 It has worked like a champ and turns out some great waffles. I have one of those, "Is it just me?" type of questions. 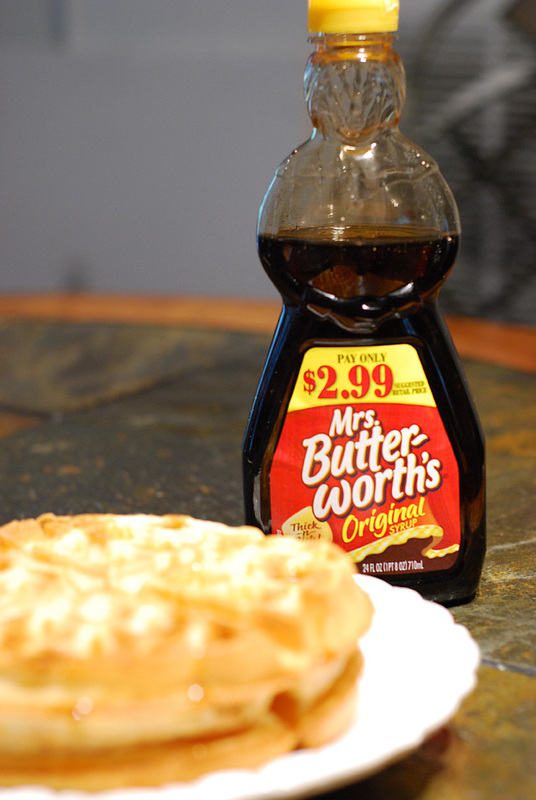 For pancakes, I prefer real maple syrup, Grade B if I have a choice. 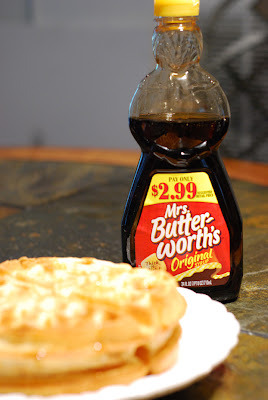 But for waffles , I have the hots for Ms. Butterworth or other "regular" syrup as Trevor calls it. 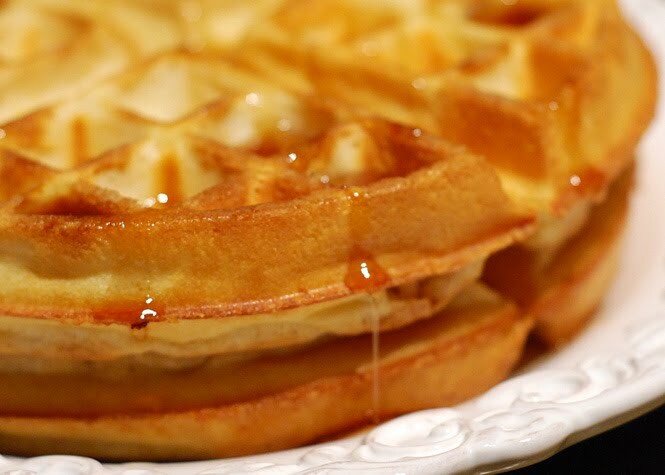 Maple syrup just doesn't taste right on waffles to me. Is it just me?